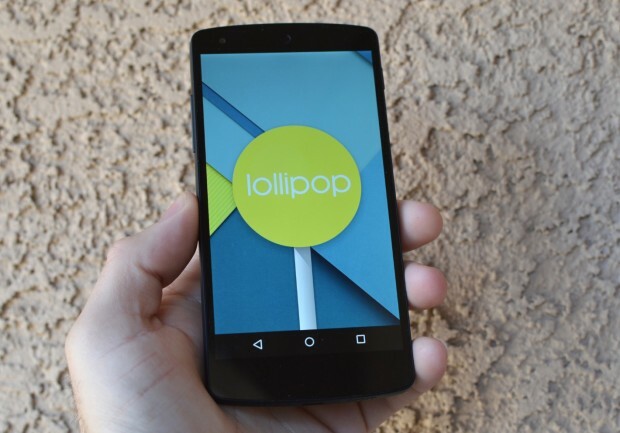 Google has started rolling out Android Lollipop 5.0 update for Nexus 5. You can expect the new update soon on your device via OTA in the coming days. However, there are some of us who don’t want to wait anymore. 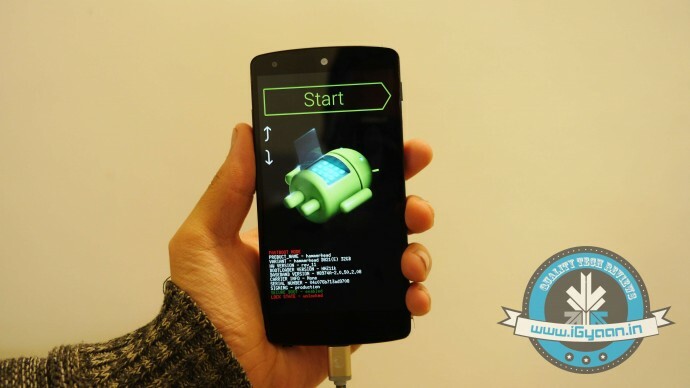 It is true that the OTA method is the most convenient way to upgrade your phone. However, we don’t mind doing some hard work to get the new upgrade. So, here is how you can get Android Lollipop 5.0 right now on your Nexus 5. A Windows computer installed with ADB and Fastboot. 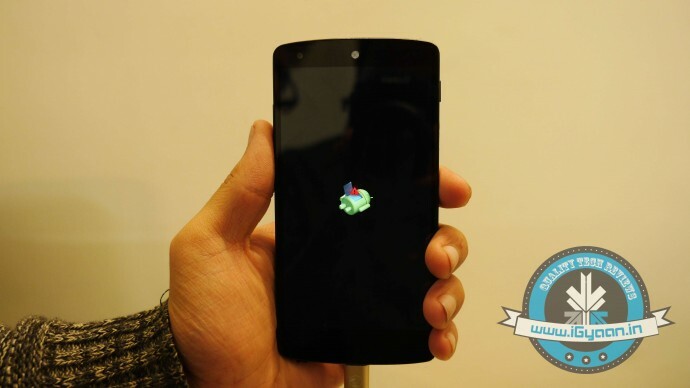 Android Lollipop ROM for the Indian version of the Nexus 5. Download it Here. USB drivers for Nexus 5. Download it Here. 1. Go to the phone Settings and make sure the Developer mode is enabled. 2. Put the downloaded Lollipop Zip file into a new folder in the desktop and rename it according to your preference. 3. Make sure the USB debugging option is on; you can find it under Developers option in your phone’s ‘Setting’ window. 4. Switch off your phone. Now press Volume Down + Power button simultaneously. This will switch on the phone in Fastboot. You will see Start written in big letters on the top of the screen. 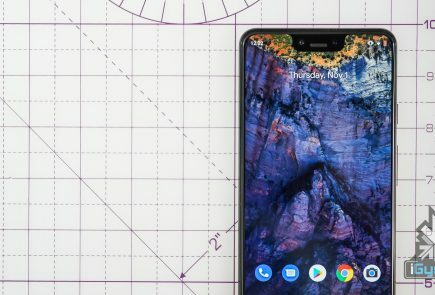 Use volume buttons to navigate to Recovery Mode. Once found, select it using the Power button. 5. 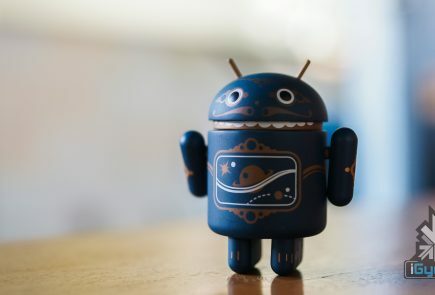 You’ll see small Android robot lying flat with a red mark over its belly. Now press the Power button for a couple of seconds and press the Volume Up button once while holding the power button. This will turn on the ADB mode in your device. If it doesn’t, try it again starting from step 4. 6. Once the phone is in Recovery Mode, use volume buttons to highlight ‘apply update from ADB’ and press Power button to select it. 7. Connect your phone with the PC via USB. 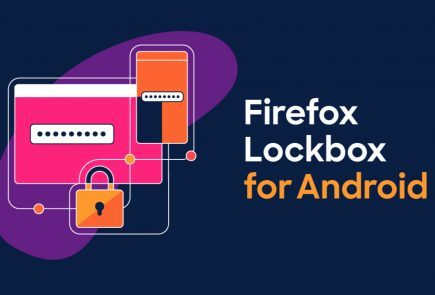 Make sure the PC recognises the device as Android phone with Android Composite ADB Interface functionality in your computer’s Device Manager. If not, uninstall the drivers and install them again. 8. 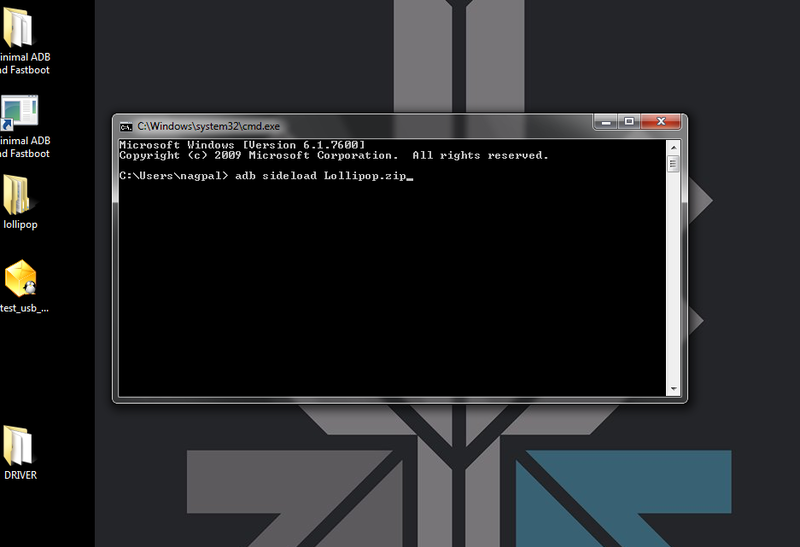 Now press ‘Windows+R’ on you keyboard to launch RUN and type ‘cmd’ to open the Command window. 9. Type ‘adb sideload <name of the Lollipop zip file>’. For example, if your file name is Lollipop.zip, then write: adb sideload lollipop.zip and press Enter. 10. Now, you will see that the ROM will be copied onto your phone. This way, Lollipop will be installed. The whole process will take around 10 minutes. TIP: If you get confused or lose the track somewhere in between, press the Volume Up, Volume Down and Power buttons together to reboot the phone. And remember, never ever pull it off charging. Thats because you are running command from other location. 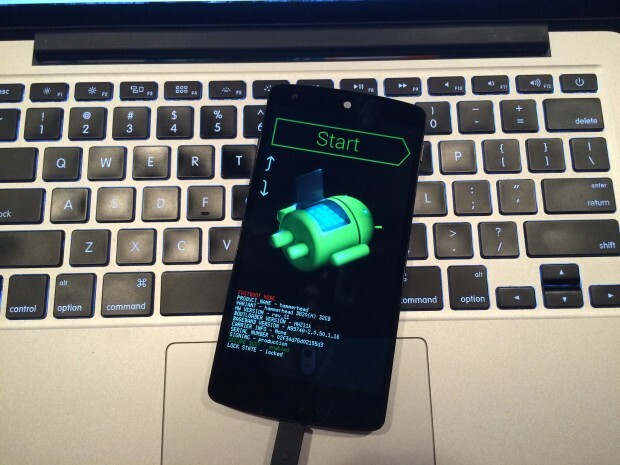 Run the command from Minimal ADB and Fastboot Folder and put the zip file in it. and You are good to go. I don’t understand Why iGyaan keeps comment section below if they are not able to help people even i’ve never seen them to reply anyone. Yes its needed to download cause sometimes as your device entered into recovery mode drivers will be disappeared in device manager as you can see there and your nexus device will be displaying with yellow sign so at that just uninstall it or update the driver through selecting the location where you have downloaded. 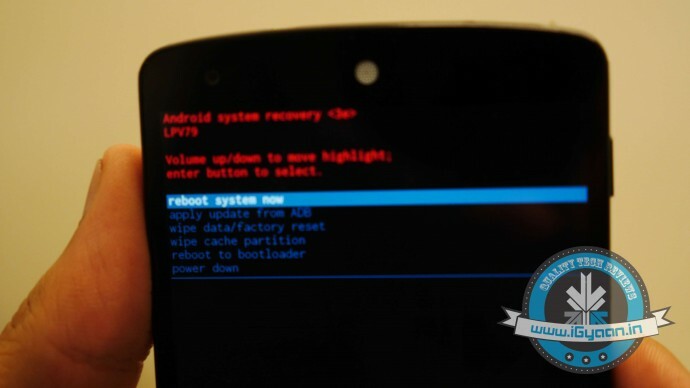 Do not download Lollipop ROM from here.. It is the Older Version, it does not have “Rotate Screen” Option. 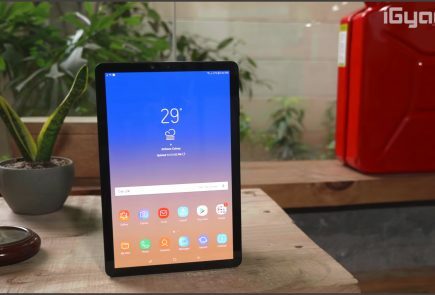 You are absolutely right I was thinking the same there is not Rotate Screen. Now I have already installed it on my phone, Is there any other option to make it correct, Can you provide me the exact Link which remains in zip? Will this void my Nexus 5 warranty?? Yes it will. As for flashing factory image you will have to unlock the bootloader and that voids the warranty terms. Will this set up erase user data? If you are going through above mentioned process, I think it wont wiped out the data, Better confirmation can be received from iGyaan as they have done the process so.